Spellirium is the brainchild of Ryan Creighton and a whole slew of freelance content creators. 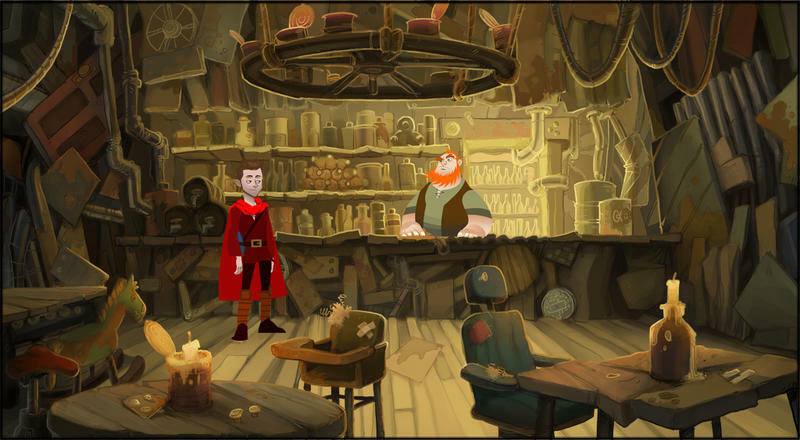 This game mixes and mashes the principles of the word-puzzle genre with those of classic point-and-click adventure games. It’s a one-of-a-kind project, and we here at TechnoBuffalo are growing a little obsessed with it. After previewing an alpha version of Spellirium, I reached out to Ryan Creighton, the game’s creator, to see if he’d be up to chatting with me about the project. He graciously accepted and gave me a little more than 30 minutes of his time. You can read the aforementioned preview right here, by the way. Also, before we get into the meat and potatoes of this feature, you can support Spellirium right now by heading to the game’s official website. Once you support the project, you’ll be given a chance to play the same alpha version I based my preview work on. Moving on. Ryan and I talked making Spellirium, gaming genres, dealing with humor and a whole lot more over the span of our conversation. Let’s dig in. Before creating Spellirium, Creighton had a history in games development. He worked for YTV, a Canadian youth television network. As Creighton explains it, he would work on games tied to content for the network, as that’s a great way to directly connect to the audience. “Spellirium is not an educational game,” Creighton explained. “It’s the latter. It’s the kind of game that requires you to be educated to play it.” Put simply, you have to know how to read and spell in order to play. 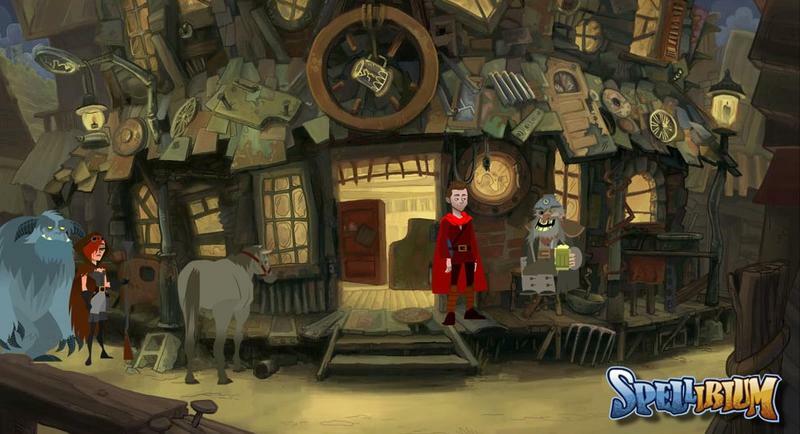 Spellirium, as mentioned before, is a mashup of word-puzzle and point-and-click adventure games. For that reason, it’s a rather unique idea. Creighton is making the type of game he wants to play, and he’s a big, big fan of both word games and classic graphic adventure games. The confluence of those ideas, then, was automatic. “People who are into words, writing, typing and language will like Spellirium. 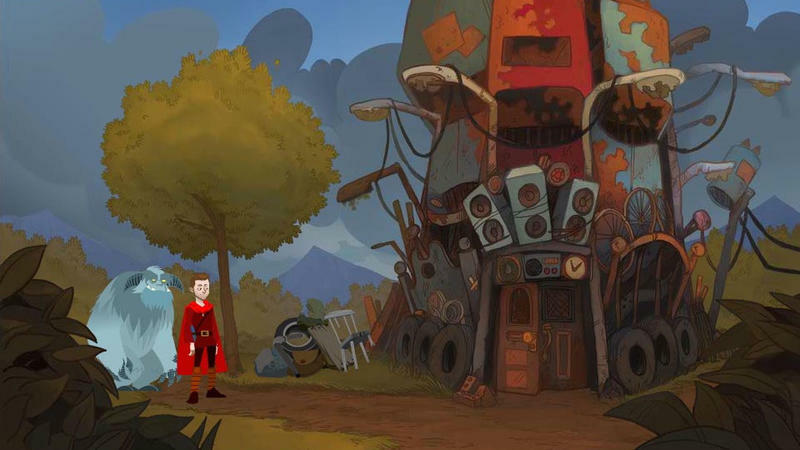 It’s a natural fit for this genre.” Creighton told me that he’s really inspired by Puzzle Quest, which is actually one of my favorite matching puzzle RPG titles. With Spellirium, players are tasked with creating words on a board in order to defeat monsters or name worldly objects. Letters can be swiped vertically or horizontally in any direction. Letters can also be swapped in order to make new words. These mechanics work in tandem, and Creighton emphasized that he’s been going over how well the game plays for the last five years. But Spellirium is more than just a finely-tuned word puzzle game. It’s a title with a lot of dialogue and an actual storyline. Which brings us to one of Creighton’s big challenges: making Spellirium funny. “I’m really reticent to write in press releases that ‘Spellirium is a funny game!,’” he explained. “There have been other ‘funny’ games, and I look at them, and I know they’re trying, but they aren’t funny. These games make my skin crawl.” Creighton’s talking about the humor in games that feels far too intentional and comes off as exceptionally heavy-handed. The Secret of Monkey Island famously executed black humor very, very well. Even today, games strive to match the same levels of darkness and with that Monkey Island so easily hit way back when. Spellirium, if Creighton has his way, will be the same kind of funny. Of course, he knows that this is a lofty goal. I’m really reticent to write in press releases that ‘Spellirium is a funny game! “It’s funny, you know, people make these ‘flip it around’ suggestions about the game as if I haven’t obsessed for five years over this game!” Creighton has been obsessing over Spellirium. Initially, the game was only playtested by folks that Creighton handpicked, friends and peers in the industry. The criticism Creighton received from that pool was rather limited. Now that folks who support the game get in on playing it and delivering feedback, I asked Creighton what it’s been like going from such a small group of playtesters to this massive surge. “It’s so much better…just so much better,” according to Creighton. Opening up the playtesting to supporters, though, has been the exact opposite for Spellirium. The people playing and giving feedback about Spellirium are exactly the folks who love it and want to make it an even better game. Thanks to the village mentality of support that Creighton is slowly garnering for Spellirium, the game is being made with the best intentions in mind. Ryan Creighton is the “President” and “Founder” of Untold Entertainment, though he explained that his title pretty much encompasses the roles of janitor, artist, programmer, creator and plant waterer. He wears many hats for his company, and that means he takes full responsibility for the work he’s doing. So, when I asked Mr. Creighton what one thing he wants everyone to know about Spellirium that they aren’t really talking about, a question I typically reserve for the end of an interview, he gave me what I currently consider the best answer I’ve ever received.